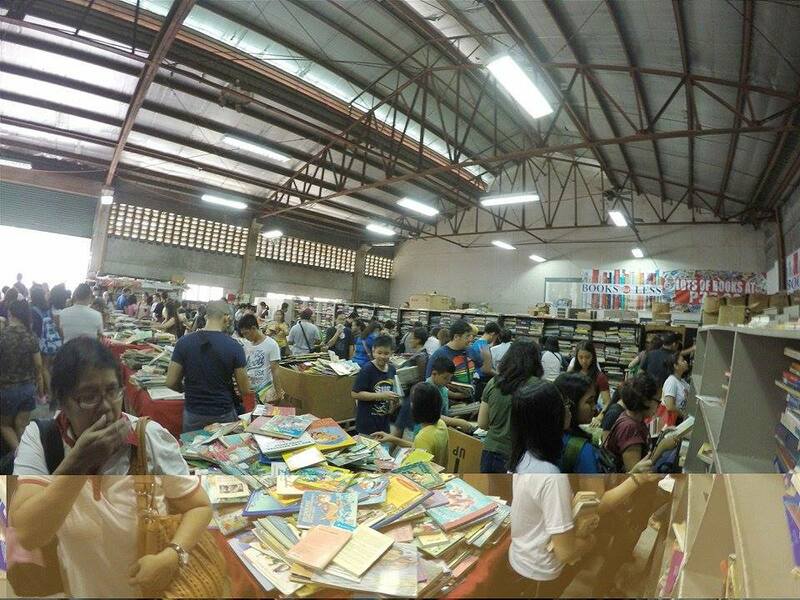 Thousands of books at Php 20 each? Yes. Believe it. 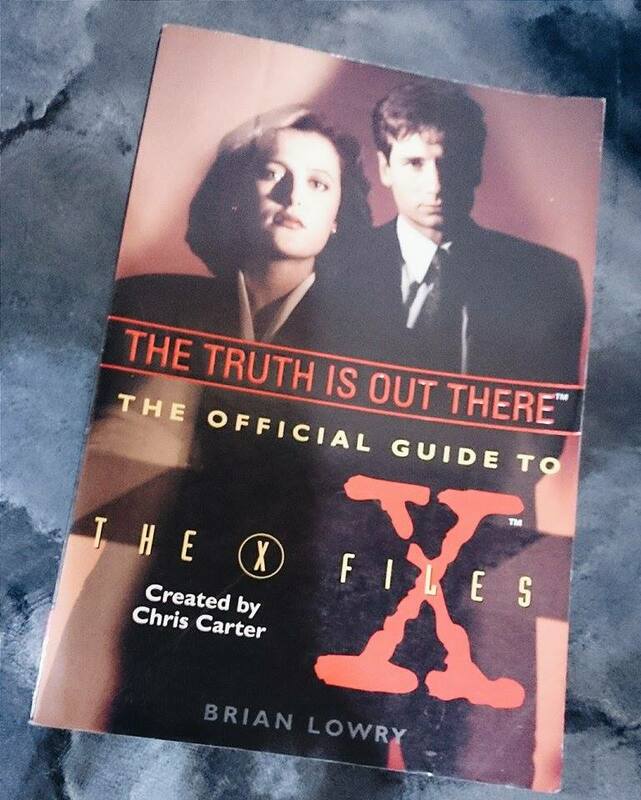 Photo from Books for Less Facebook page. 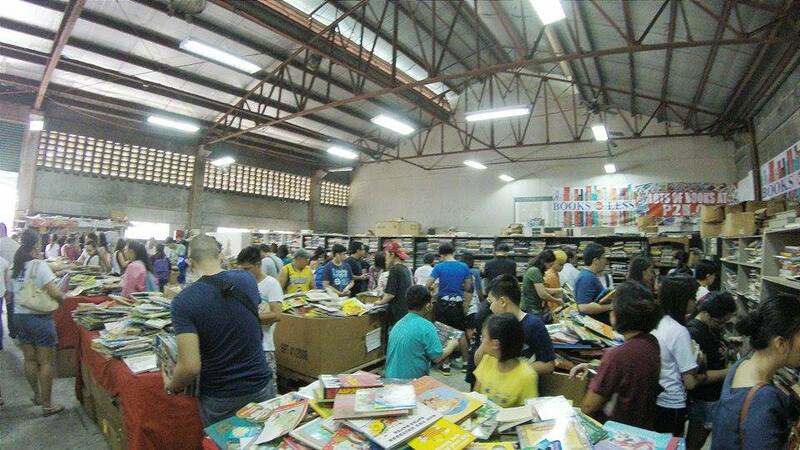 Thousands of books being sold in a warehouse setting can be an overdose for book lovers. 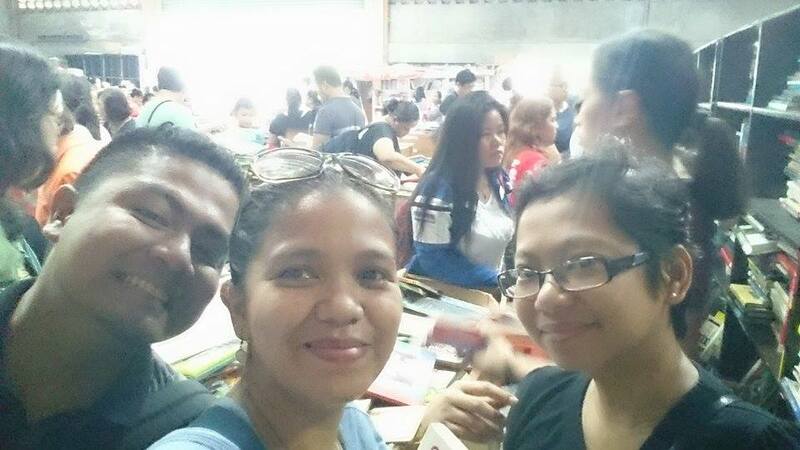 It’s not a rainbows-and-butterflies experience like when you get to an air conditioned bookstore at a mall. But am sure any book lover won’t mind. I got the information from a private message from my brother and his wife. Ear-notched the date but was not able to drop by the first day because of the heavy rain downpour. But when I found out how jam-packed it was the first day, I was happy to drop by with my friends very early the second day instead. Warehouse opens at 9AM. We got there at 915A and noticed that most parking spots were already taken and the crowd is starting to build up. As soon as you get in, you feel the high. Book lovers, you know what am talking about! Books of different kinds everywhere. It does look that the staff tries to arrange them according to genre but with the setting and the number of people visiting, it is impossible to organize these books. They made it easier for Moms and kids though, as they placed all children’s books on the tables in the middle. There are tons of children’s books! 1. Bring an eco bag. Some brought boxes. They do sell cloth bags for Php10. 2. Drop by early especially if you need a parking space. 3. It can get really crowded and there is not enough ventilation so wear comfortable clothes. We only stayed for an hour and it was already crowded when we left. But hey, it’s worth it! 4. Bring wet tissue or alcohol. Your hands will be dirty after because of the dust. If you are allergic to dust and can’t stop yourself from going, wear a face mask. 5. The warehouse is like a box of chocolates, you never know what you’re gonna get. Be open to possibilities. Do not restrict yourself to just one genre of reading. Go around find whatever. 5. Once may not be enough. Once the books become too heavy for you to carry around while looking for more, tendency is for you to go to the cashier and pay. Well, I did. Then I left it there for one more round. I came back with this addition. To those who know me, you understand why this is a treasure. And yeah, I will definitely come back some other time for more. 6. Be polite. It can get crowded and hot so everyone may need an extra string of patience. Make sure you bring yours. 7. Lastly, have fun. The sight alone was already an experience for me. What can you find? Well, there’s a wide array of genre. You can’t even distinguish where one genre begins and where another ends. It’s like an ocean of books. But to give you an idea, let me share with you what my friends and I got. This is the kind of place you would want to see the youth lining up for. It was nice to see students discussing which books to take home. Friends talking about favorites. Moms explaining things to their kids. Families searching good books together. A mom with her son (I assumed, she called her Jake anak) on the phone as she reads titles to him. Individuals reading silently. Kids reading rhymes aloud. It was a sight to see. The future looks bright! The warehouse will run until August 31st. They are open everyday from 9A to 5PM except on August 3rd, 10th, 17th, and 24th. It is located at 643 Mercedes Avenue, Brgy. San Miguel, Pasig City. They have also given directions and instructions via their page. See this link. Hope you enjoy your visit as much as I did. Am still looking forward to coming back. 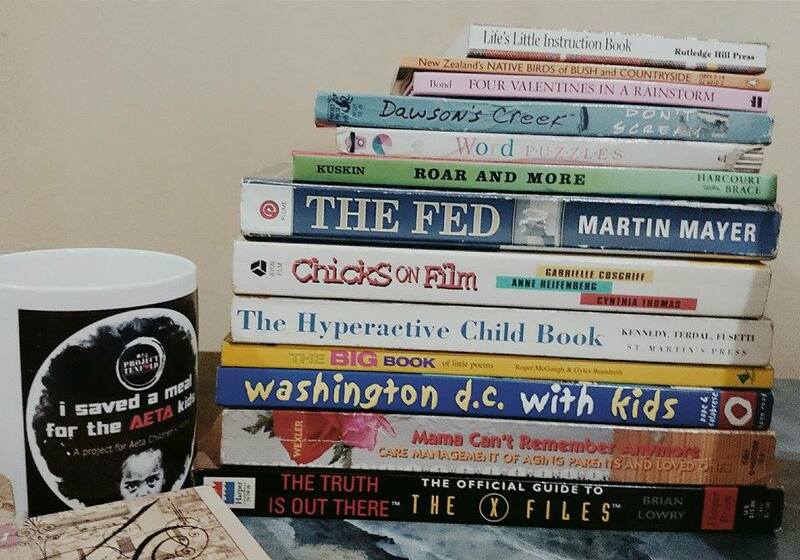 For now, am happy with what I got – 13 books (some of which I will give to my niece and my friends) for a little over than Php260 (USD5.70). 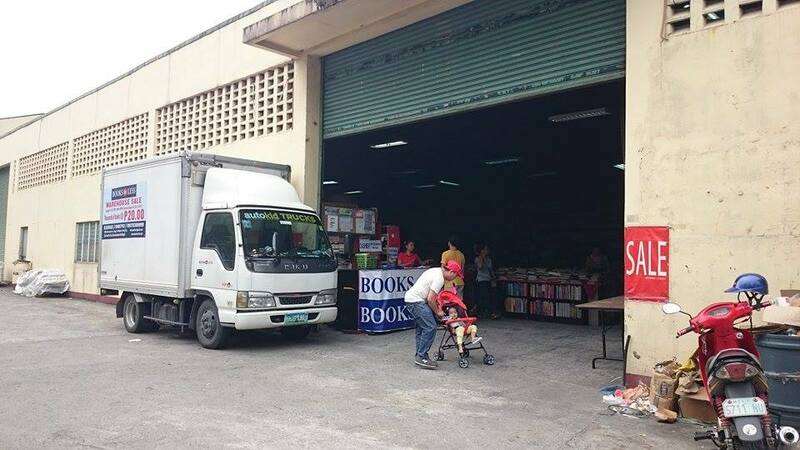 Last year, they sold books for Php10 each. Php 20 is still a good deal, I tell you! All the effort? Worth it! Thank you, Books for Less! Follow me via Facebook & Instagram. Hey ! Is there any fiction books?? please reply I really want to go there!. Proves that real books are still better than eBooks. I wish it were nearer. Shayne, talagang intense. Even if it says Php 20 on all posters around the area. Nagtanong pa din kami sa mga bantay ng mga three times para sure! Haha… have you gone there? im drooling now. I must go there tomorrow!!! You should, Joyce! Or…. have you? Hi, I am really bad at directions. Can anyone tell how to get to the bookstore from Pasig Rotonda? P10). Take tricycle going to La Consolacion. Hi, Dylan – sorry for not responding sooner. There are tons of books so it was hard to look for a particular genre or title. I am planning to go back though and may be able to give you an update. But I also hope you can make it. Pingback: AnjShares: Two Big Book Sales in August! | Anj Blogs abt Life! We want to ask if how to acquire books from your office that we want also to distribute to the adopted community of our school here in Antique as part of the SAC WE CARE program of our school St. Anthony’s College. Hi, thank you for reaching out. Sadly, am not associated with BooksforLess. Am just a blogger who wrote about an experience. But am happy to connect you to them. 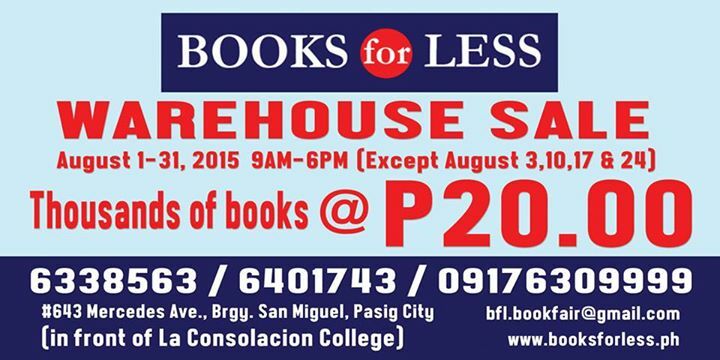 You may email them via info@booksforless.ph Hope you get a good deal for your SAC WE CARE program. Hi, Joeric! —> 643 Mercedes Avenue, Brgy. San Miguel, Pasig City I linked the blog to directions given by BFL. You may refer back to it. 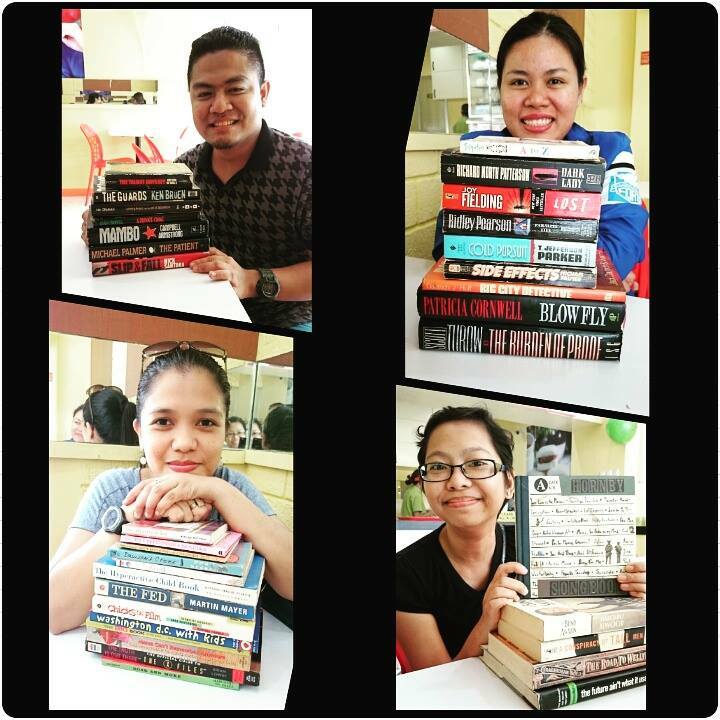 Happy Book Hunting! Are there books like the selection, harry potter and game of thrones? Do they have cook books? Lui, this was last year’s sale. I saw some, yeah. may mga management books poh ba? Hello, I’m just asking if do you know how to get there from Lipa, Batangas? Thank you so much and God bless. Were there any recently published fiction books for young adults from the most known authors these days? Like around the year 2000 to present? From Matthew Quick, Suzanne Collins, Jay Asher, Alex Flinn, David Levithan and etc? I am drooling! Your pictures are already euphoric, the sale must be heaven. Hopefully something like this happens here in Cebu. Mam/Sir can i ask for direction thru cavite or guadalupe need to go to your place im so interested on your sale’s thank you hope your Reply 🙂 ..
is there any reference book? Hi, just want to know if you have a book entitled VISIONEERING by Andy Stanley. If yes, do you still have 20 copies? is there any book of Nickolas spark? Hello! My friend and I are going there today. Is there any chance that it is flooded due to the weather this past week? Hello po! May online store po ba kayo na nagdedeliver kayo? Hi, Clarisse. Thanks for dropping by. You may probably get answers from Books for Less. I was just a visitor. 🙂 Or maybe, you can check out any of their branches. 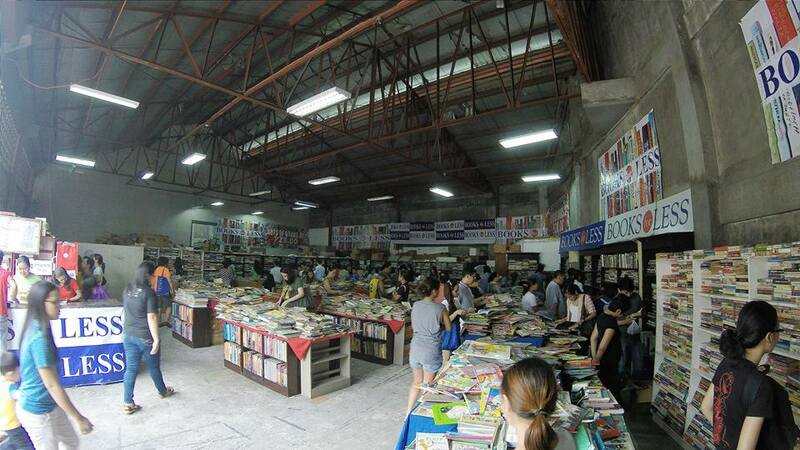 Are all books at 20 pesos only or only on selected books. Hi. I just want to know if they have college books like med.books? Thankyou! Wow! i wish maka abot pako pag nakauwi ako sa manila..hopefully before that said date ends. Wow! sana maka abot ako, im sure dami ko mabibili, i hope makabalik ako manila before Aug 31.
hey there’s a book about the universe o cosmos and also about the theory of albert einstein and time travel? my mga soft copies po b dyan from wattpads?? the blog was last year is this still available now?